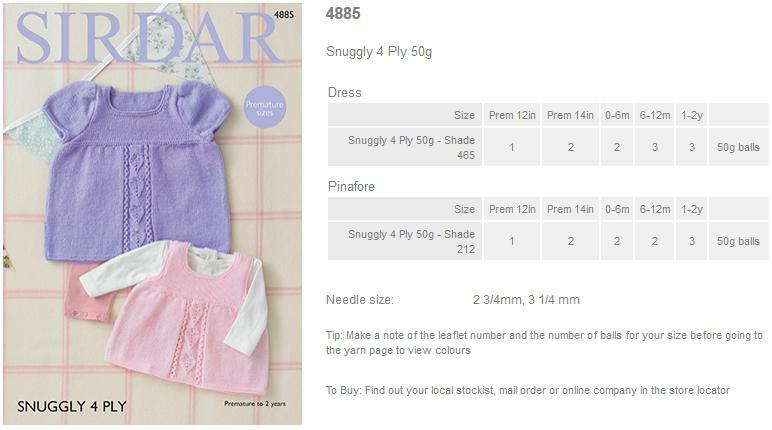 Leaflet with designs for a Dress and Pinafore using Snuggly 4Ply using Sirdar Snuggly 4Ply. 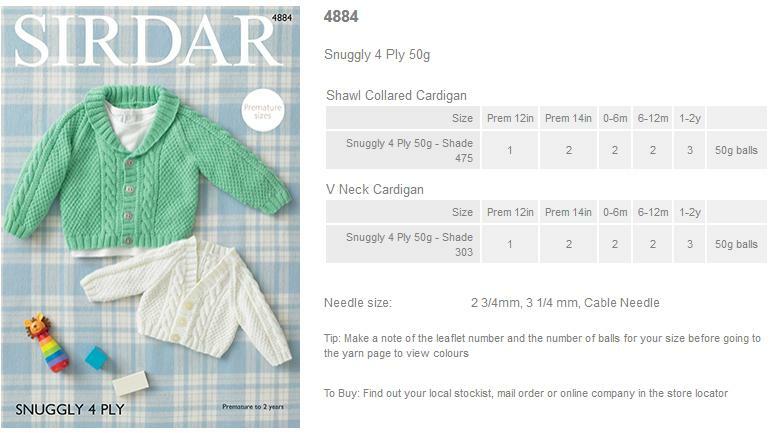 Leaflet with designs for a Shawl Collared and V Neck Cardigans using Snuggly 4Ply using Sirdar Snuggly 4Ply. 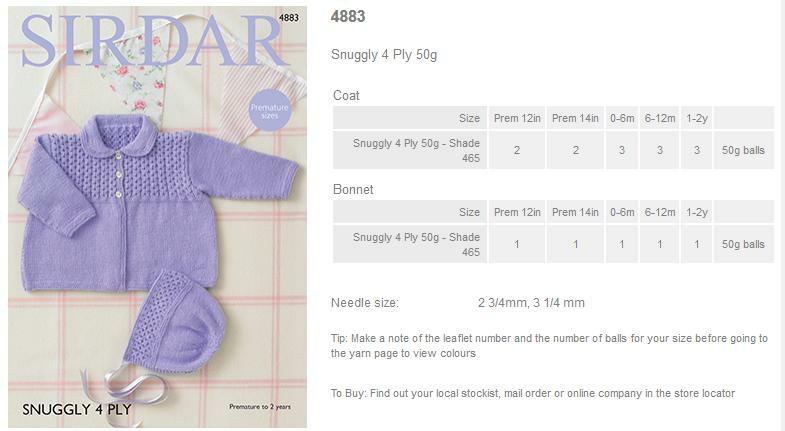 Leaflet with designs for a Coat and Bonnet using Snuggly 4Ply using Sirdar Snuggly 4Ply. 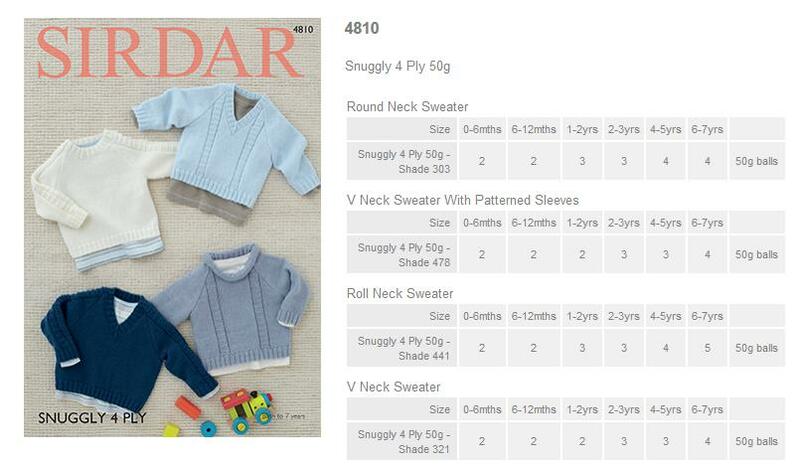 Leaflet with designs for Boys Sweaters using Snuggly 4Ply using Sirdar Snuggly 4Ply. 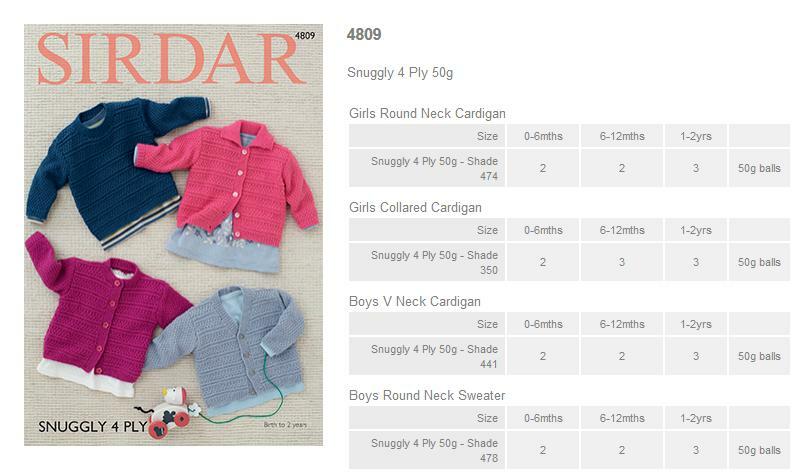 Leaflet with designs for Boys and Girls Cardigans and Sweaters using Snuggly 4Ply using Sirdar Snuggly 4Ply. 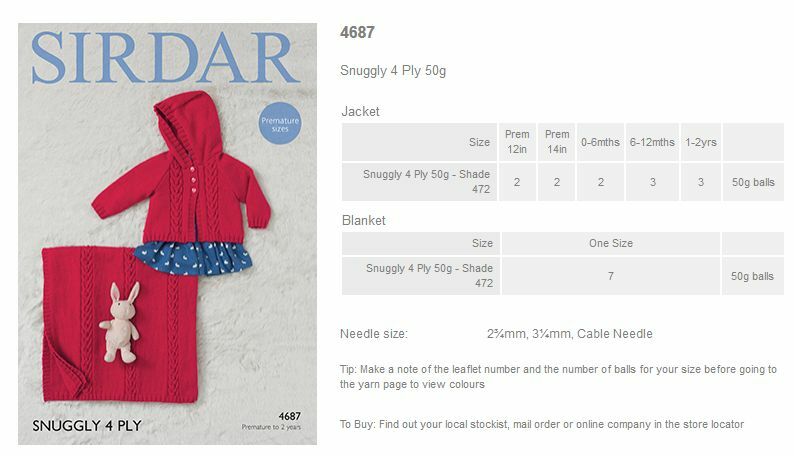 Leaflet with designs for a Blanket and Hoodie using Snuggly 4Ply using Sirdar Snuggly 4Ply. 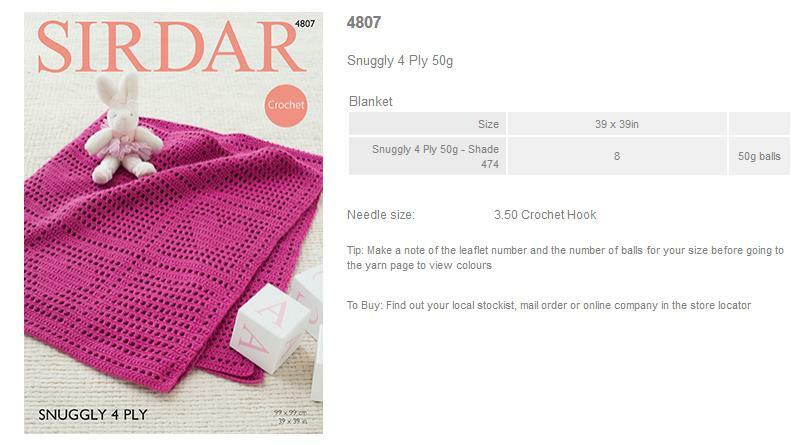 Leaflet with designs for a Blanket using Snuggly 4Ply using Sirdar Snuggly 4Ply. 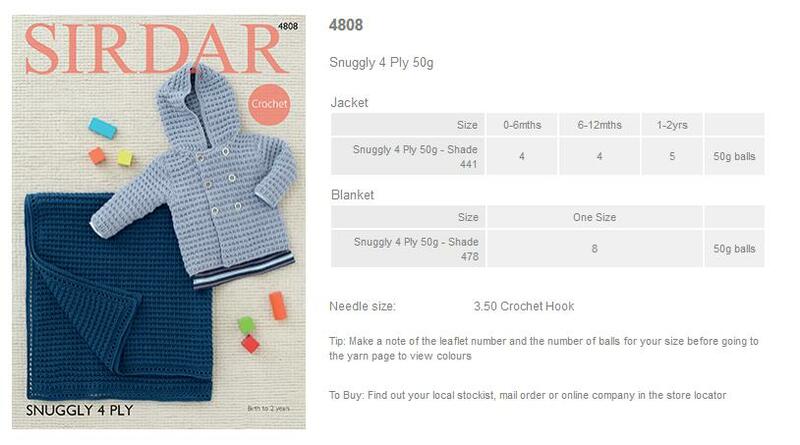 Leaflet with designs for a Jacket and Blanket using Snuggly 4Ply using Sirdar Snuggly 4Ply. 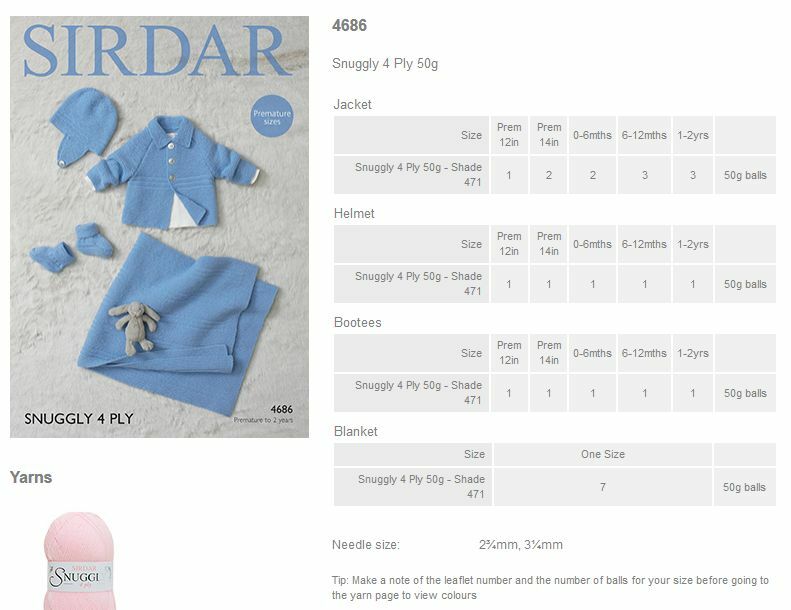 Leaflet with designs for a Jacket and Helmet using Snuggly 4Ply using Sirdar Snuggly 4Ply. An adorable collection of designs which has been created to meet the special needs of the premature baby. Sizes start from just 10 inches.